The full report is available online prepared by Professor Anne Barlow (University of Exeter), Rosemary Hunter (University of Kent), Janet Simpson (University of Exeter) and Jan Ewing (University of Kent). Professor Anne Barlow presented a fascinating paper on the Report’s key findings. Of particular interest to Family practitioners will be that separating couples are increasingly preferring to settle disputes using non-court dispute resolution eg mediation, collaborative law and solicitors’ negotiations. This article picks out key points and critiques them against my own practice and experience. The briefing paper was a three year academic research project carried out by the Universities of Exeter and Kent which started in July 2011. It is a national study of around 7000 people which collected data from face to face and telephone interviews with people who had experience of non-court family dispute resolution from both legal aid and private clients and also practitioners. The central aim was to provide evidence about the public’s awareness, usage, experience and outcomes of the different out of court Family Dispute Resolution (“FDR”) processes. My caseload for the last four years inevitably includes cases that go to court, but the vast majority of my work now is non-court based. It was really interesting to hear from Anne Barlow what people’s experiences were on the different types of FDR options. Gender-balanced co-mediation would address concerns about partiality. Co-mediation was useful in discussions about children disputes but co-mediation is not used often because of the costs of having another mediator present. I think co-mediation is a good idea and I use this model where there are several indicators from the intake session towards co-mediation e.g. frequently in high conflict, high net worth cases, there are power imbalances and emotionally needy clients. I often co-mediate with a couples’ counsellor Massy Ellesmere. Clients seem to like having someone from a legal background and a co-mediator from a therapeutic background. A male and female mediator can help to produce better outcomes in cases where we think co-mediation would add real value to their mediation matter. The mediators’ tasks can be divided when co-mediations take place. Having a male and female mediator in the room can provide a gender balance and set up a model to counteract any power imbalance. Lisa Parkinson, a Family Mediator, has also commented in her book “Appropriate Dispute Resolution in a New Family Justice System” (2nd Edition) that research shows male and female mediators produce fairer and more balanced agreements. Into the MIAM (Mediation Information Assessment Meeting) era, we have examples of courts ordering parties to mediate. I am starting to receive more referrals from courts for cases which the Judge believes people should really be talking to each other about rather than litigating. Recent court referrals have been for a children matter where the clients could not decide on how to review childcare arrangements by an hour each week or on a financial settlement case where the larger assets had been agreed to be divided at court but the household contents had not been determined and the Judge thought it would be useful for the clients to attend mediation. The clients attended one joint 90 minute session and were quickly able to decide how the house contents would be divided. Ensure that mediation clients are well prepared before they start. I check with clients early on if they have sought legal advice. This can include ensuring people are aware of what mediation is. Not a lot of people knew what mediation was before they started the process. Clients commonly learn about mediation from their Solicitor or by attending a Mediation Information Assessment Meeting with a mediator. It is sometimes difficult now with legal aid being removed in a lot of Family Law areas. Legal clinics such as the Citizens Advice Bureau in Holborn provide 3 visits (30 – 45 minutes) for eligible people which can provide clients with an idea of where they stand legally and prepare them for mediation. I discuss with clients all of the options open to them. It may be that mediation is not the right process for them, but if they know how each option works they can then make an informed decision about which process may be the best match for them. I have an adapted Financial Statement (Form E) for the clients to complete. I try to ensure they complete the form as fully as possible and bring the level of detail of supporting documents each client requests because if there are large gaps in their Form E it can sometimes be difficult to progress a financial mediation session. The Report finds that direct consultations with children in mediation rarely happen, but there is definitely an argument that the voice of children in the mediation forum and other FDR processes should be heard more often. I am trained to mediate with children and have around 3-4 cases each year where the parents agree for me to meet with the children in a separate session and then provide them with feedback that the children want me to give their parents. I have worked with a British parent who lives outside Europe and its three UK resident teenage sons wanted to know why the parent moved abroad at the end of the marriage and how they could re-establish contact. I have also worked with three teenage children who had very busy school schedules and wanted to spend more time with their mother but wanted to do more outside activities rather than playing computer games which the mother used to encourage instead of physical activities. The Report highlights situations where mediation can break down e.g. one person not providing information, worries about being in the same room as a former partner and power imbalances. The mediation process may not go into the same depth of financial disclosure as court, but for mediation to work the clients need to provide financial disclosure information to the other person in mediation. If mediation clients cannot get the financial information they feel they need they may use the court process to obtain it and then return to mediation when they want to start considering financial options for settlement. I find this is happening more often. Clients may go to court up to the Financial Dispute Resolution (‘’FDR’’) stage but then come to mediation if they feel financial disclosure has been completed and want to avoid a final hearing where legal costs can escalate. I do some mediation cases on a ‘’shuttle’’ basis where clients are not in the same room. It is a lot slower than everyone being in the same room but in some cases it can work better. Some cases I have worked on started as a shuttle mediation and then change to the same room at the next session when the parties see progress is being made. If there is a power imbalance e.g. one person does not have a good a grasp of the finances, a neutral third party can be introduced e.g. an Independent Financial Advisor may be present in the joint mediation sessions. Last week I mediated with a Bengali client who was not confident about his English so an independent translator attended the mediation sessions with him with the agreement of the other party. The Report indicates things that could be done better in mediation. For example there could be better screening for abuse and conflict. A lot of people felt that there was impartiality lacking at times of screening and when there were high levels of conflict the mediator could not control things. I tend to do my screening with the clients separately by arranging the intake sessions at different times. I know mediators who do intake sessions with the clients together and then see the clients separately for the screening for part of the session, but I want the client to feel comfortable to talk to me without the other person being in the room with them. 7. What could be done better? The Report looks at providing counselling or other therapeutic methods to support people who may be emotionally vulnerable. Many divorcing clients obviously describe this as a very stressful time. Referrals to a counsellor need to be made sensitively. Some of my clients see counselling as a weakness. Others have attended counselling and found it very useful. For example a client had a young daughter in Scotland and was unhappy about having contact in a hotel and not at her home and wanted to talk through how she felt with a counsellor. After the sessions the client explained she felt a lot calmer and in a better place. I am quite lucky in that I am a member of the Collaborative pod group (Essex Family Solutions) where there are three to four counsellors who regularly attend this pod. You can get to know the counsellors quite well so when a referral is made you are confident that the client will be treated sensitively and get on with the counsellor. If you are interested or work in the Family Law or Family Mediation field the Report is well worth a read. I found it useful to see what feedback clients have provided about the different forms of FDR. This Report and the subsequent discussions with fellow delegates at the Farrer & Co event made me reflect on my own practice and how I can continue to improve my service to clients in each of the out of court options. Judging from the comments of the majority of the delegates I spoke to, fees are a significant factor in clients’ decision making and deciding which option to use when separating from a former partner and mediation can be one of the more cost effective options to use. However, clients needs to understand how mediation works before deciding if it is the right option for them. Austin Chessell is a Child and Family Mediator at FAMIA (www.famia.co.uk). 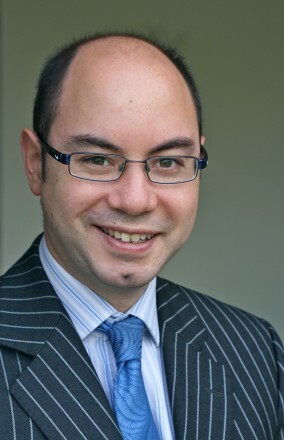 He is also a Collaborative Family Solicitor at Feltons and a member of the Collaborative pod group Essex Family Solutions.